Last weekend we introduced some new charts which visualised the goals and goal attempts created by Manchester City ahead of their clash with Arsenal. 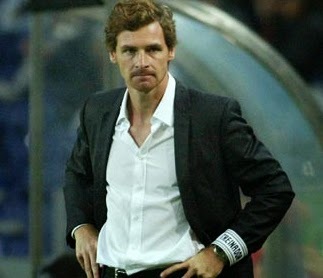 We have revamped these charts this week so want to return to them in more detail here, explain a bit about what each category is telling us, and hopefully at the same time reveal some fresh insight into what went wrong for AVB at Tottenham. All goals scored from shots from outside the box. This category includes shots from direct free kicks. Pretty self-explanatory, this is all goals scored by headers that were not from set piece situations. This helps us identify teams with aerial cross heavy attacking strategies. All goals scored with foot shots that also had a direct assist from a team-mate that was either a pass or a cross. This type of chance has the highest expected goals value and, because there is a direct assist, it can be thought of as a result of the attacking teams own creative ground play. These are all other goals that are scored with foot shots from inside the penalty box. This includes all unassisted shots (penalties, rebounds, goalmouth scrambles etc) and shots from knock-downs. The attacking team has worked the ball into dangerous areas but maybe there was some fortune in the actual scoring of the goal. From both the attacking and defending teams’ points of view this can be thought of as a “doing the basics” category. Goals scored from a corner or an indirect free kick. For the purpose of our analysis this category does NOT include penalties or direct free kicks (these are included above). The reason for this is we like to isolate how teams attack and defend from corners and indirect free kicks only. This has been covered by many others so we won’t go over it too much here although seeing it in graphical form really does emphasise the point that Tottenham take far too many shots from long range. Such a strategy may have been OK when they had a player like Gareth Bale taking the shots but he is now in Madrid. By way of comparison Manchester City has had 91 so we can see they are much more selective in attack. A pretty damning statistic is that Tottenham haven’t scored a single open play headed goal all season. This may be a result of AVB’s preference for inverted wingers combined with the over reliance on long shots above. Either way, Tottenham are not getting the ball wide and getting quality crosses in for Roberto Soldado to feed from. Before the season Colin Trainor highlighted the areas from which the Spaniard scored his goals and had his attempts at goal last season; it seems Spurs are not really playing to his strengths. Some may argue that goals from headers are not Spurs’ style but the best attacks have to have multiple ways of scoring goals – Manchester City have 5 goals from 28 headed attempts and Liverpool have 6 goals from 16 attempts. This category can be thought of as shots created inside the box from a team’s own creative attacking play. Creatively, Tottenham grade out more respectably – they have 69 attempts which is fifth best in the league. Unfortunately this has only created 5 actual goals which is one of the worst in the league!So what could be at play here? In total, across the league, there have been 1,097 such chances created. Breaking these down, we see 146 have been goals (13%), 316 saved (29%), 360 missed (33%), and 275 blocked (25%). If we look at just Tottenham the numbers are 5 goals (7%), 20 saved (29%), 21 missed (30%) and 23 blocked (33%). The major discrepancy here is that Tottenham are seeing an above average percentage of the shots they create get blocked. Regular InsideFPL readers will likely know that the player with the highest expected goals score for Tottenham this season is actually Brazilian midfielder Paulinho, who our model says should have scored 4.8 goals this season from the chances he has been on the end of. This is in comparison to 3.8 for regular striker Roberto Soldado (penalties excluded). Surely it would be preferable to have your main striker on the end of the chances you create? In total, Paulinho has had 25 shots from zones A/B while Soldado has had just 20. This surely cannot be by design? None of their rival teams have such a split. This got us thinking about whether there is a link between these two issues. Why would the chances a team create be more likely to fall to a box-to-box midfielder and more likely to be blocked? One reason could be that Tottenham frequently dominate possession and territory in their matches, particularly against weaker opposition. In such games they are often not able to attack at pace (again missing Gareth Bale?) and instead have to build slowly from the back. In these situations, by the time chances are finally being created the defence has had time to regroup and get enough men behind the ball to block the shots that are forthcoming. Also this has allowed time for the midfielders to make their way into the box to be the players that get on the end of the chances. Unfortunately, neither of these scenarios are preferable for creating and converting good quality goal scoring opportunities. Of Spurs’ 4 goals in this category 3 were penalties and 1 was an own goal (and everyone gets an own goal against Sunderland!). As mentioned earlier, this category can be thought of in some ways as “playing the percentages” or “making your own luck”. These are primarily unassisted shots e.g. ones that result from rebounds and ricochets etc. Again, they may not be the most aesthetically pleasing of goals to score but all of Tottenham’s nearest rivals outperform them in this category (Chelsea 9, Man United 8, Arsenal and Liverpool 7). In terms of what is driving the numbers for Spurs there may be indeed be some bad luck, but we would also contend that good performance in this area comes from both getting numbers in the box and also good anticipation from the forward players, neither of which one would really associate with this Tottenham attack. Finally, something which hasn't been mentioned much is that Spurs have scored only one goal from set pieces this season (Paulinho vs Sunderland). We can also see they have a below average 17 attempts from them as well. For a top six side this is very disappointing. Tottenham have been awarded 112 corner kicks this season (joint 2nd highest) but are offering next to no goal threat from them. Goal threat from set pieces results from two elements – the delivery and the players attacking the ball. Again, here Spurs can be seen to be missing Gareth Bale for his set piece delivery, but also they are missing two of their main aerial threats from last season in Steven Caulker and Emmanuel Adebayor. Again, in comparison to their some of their rivals such as Manchester City (5 goals, 34 attempts) and Liverpool (7 goals, 24 attempts) Tottenham grade out poorly. That is all for part one of our analysis. If there is time, and enough demand, we hope to take a look at the defensive side of Tottenham before the weekend matches.